Chicago Golf Club will be set up at 6,082 yards and will play to a par of 36-37—73. Based on the setup, the Course Rating™ is 76.7 and the Slope Rating® is 142. The course at Chicago Golf Club, located about 30 miles west of Chicago, was designed by World Golf Hall of Famer Charles B. MacDonald. It is one of the five founding clubs of the USGA and the oldest golf club in the U.S. in continuous use at the same location. Originally opened as a nine-hole course, it was increased to 18 in 1893 and renovated in 1923 by Seth Raynor and remains largely unchanged today. The club has hosted 11 USGA Championships, the sixth-most in USGA history. It has been the site of three U.S. Opens, four U.S. Amateurs, a U.S. Women’s Amateur, two Walker Cup Matches and one U.S. Senior Amateur. Tickets for the 2018 U.S. Senior Women’s Open are available for purchase atusseniorwomensopen.com. 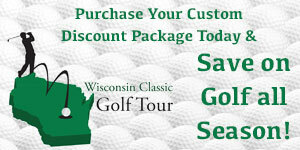 Trophy Club Weekly One Day Tickets are $30, and Trophy Club Championship Two Packs are available for $50. Tickets are good for any one day Thursday – Sunday. All Juniors age 18 and under receive complimentary admission. The USGA received 462 entries for the 2018 U.S. Senior Women’s Open. The championship is open to any professional or amateur golfer who is 50 years of age as of July 12 and has a Handicap Index® not exceeding 7.4. Entries closed on May 23. A starting field of 120 players will compete in the inaugural U.S. Senior Women’s Open. Eighteen holes of stroke play are scheduled each day from Thursday, June 12, through Sunday, June 15, with a cut after 36 holes to the low 50 scorers, including ties. Sectional qualifying, played over 18 holes, was conducted at 17 sites nationwide between June 4 and June 20. Qualifying sites were located in 16 states, including two in California. To view qualifying results, click here. FS1 will televise the final two rounds of the U.S. Senior Women’s Open. All times EDT. The total purse for the inaugural U.S. Senior Women’s Open is $1 million. The USGA announced the establishment of the U.S. Senior Women’s Open on Feb. 6, 2015. It was the third new championship added to the USGA schedule in the past two years. The addition of the U.S. Senior Women’s Open increases the number of national championships conducted annually by the USGA to 14. May 16-19, 2019: Pine Needles Lodge and Golf Club, Southern Pines, N.C. The 2018 U.S. Senior Women’s Open will be the 61st USGA championship conducted in Illinois. The first USGA championships held in the state were the 1897 U.S. Amateur and the U.S. Open, both played at Chicago Golf Club, won by H.J. Whigham and Joe Lloyd, respectively. 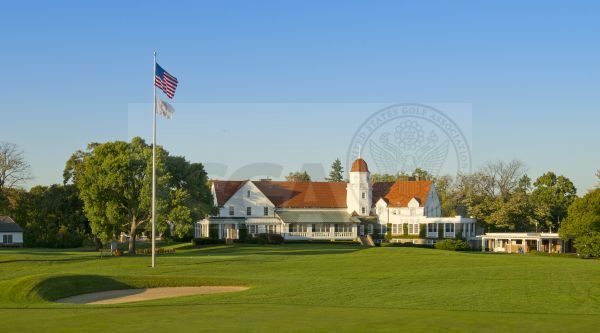 The most recent USGA championship played in Illinois was the 2012 U.S. Mid-Amateur, won Nathan Smith at Conway Farms Golf Club in Lake Forest.